Offered at $2,895,000, this two bedroom, two and a half bath condominium boasts twelve-foot ceilings in addition to an open island kitchen, eight-foot tall windows that let in both morning and afternoon light and a grand master bedroom. 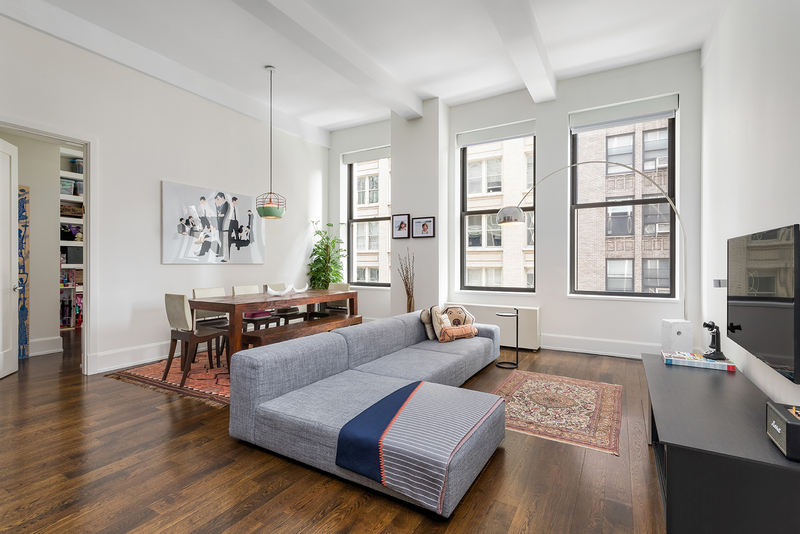 Located moments from Gramercy Park, the building itself offers a roof deck, newly renovated gym and more. Be sure to stop by this Flatiron home on Sunday afternoon!